The Surgeon General calls Gum Disease a “Silent Epidemic.” Four out of five Americans have gum disease, and it is the leading cause of tooth loss and bad breath. More important, because gum disease is a bacterial infection – often chronic in nature – it can lead to more severe health problems including heart attack, stroke, diabetic complications, respiratory problems, premature childbirth, and many other life-threatening health conditions. 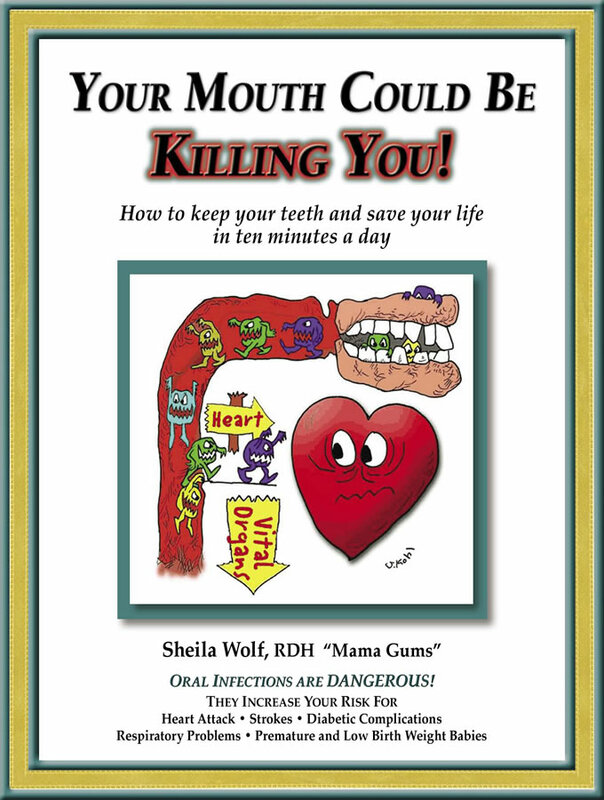 With more than 33 years experience as a dental hygienist at the forefront of non-invasive gum care, Sheila Wolf has a critical message: Simply that gum infections are both preventable and treatable! The eight-point test that can help you determine whether you have gum disease. Why brushing and flossing are not enough. How 3 common household products can save your life. How easy-to-use tips, techniques, and tactics can eliminate the bacteria that threaten your life. How to help your body do what it does naturally – heal itself, enabling you to keep your natural teeth for a lifetime.